FileMaker 12 Is Released and a New Webinar Series Is Announced! . Once you register for the series, you will receive email reminders for each session. The only thing you need to attend is a computer, iOS, or Android device and an Internet connection. IT Solutions Consulting is a member of FM Academy and three IT Solutions team members are scheduled to present: Colin Keefe, Chad Sager and Jerry Salem. FileMaker 12 Is Released and a New Webinar Series Is Announced! 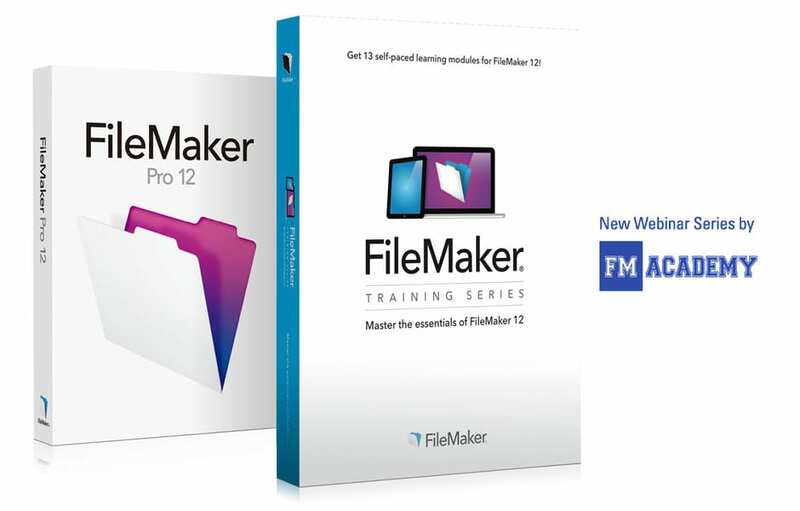 FileMaker Inc. announced the release of FileMaker 12 this morning and with this news comes a new webinar series from FM Academy called "12 Days of FileMaker 12". FM Academy, a collaboration of leading FileMaker development and training companies, will bring us a new webinar every Tuesday and Thursday for the next six weeks. Each session will focus on a new feature in the new FileMaker 12 product line. The series is completely free of charge, details are available at www.filemakeracademy.com. Once you register for the series, you will receive email reminders for each session. The only thing you need to attend is a computer, iOS, or Android device and an Internet connection. IT Solutions Consulting is a member of FM Academy and three IT Solutions team members are scheduled to present: Colin Keefe, Chad Sager and Jerry Salem.